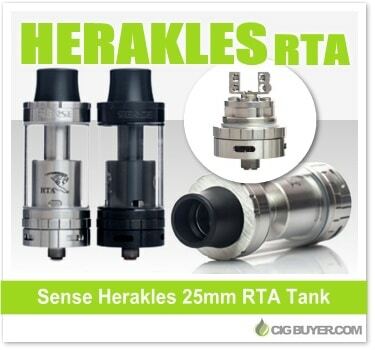 The Sense Herakles RTA is a rebuildable version of the highly popular Herakles Tank. It includes most of the same great qualities as it’s predecessor, but with a large 25mm chassis and an astounding 6ml of capacity. It has a threaded top-fill design, features adjustable wicking and offers amazing airflow – with quad interior and exterior airflow controls. The easy to use two-post build deck is on par with some of the top rebuildables on the market, featuring 2.5mm post holes that fit most large gauge wire, allowing for incredible flexibility.